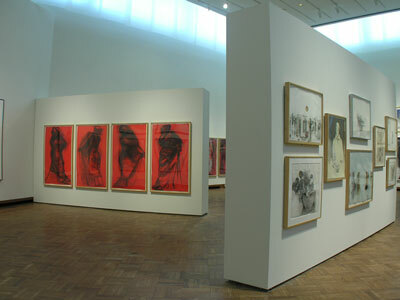 Demountable Wall System for Temporary or Changing Exhibition Galleries and Partioning. Complete wall modules that are captured with a wood framework, tongue and groove / interlocking connection technique providing a permanent wall appearance, nailable interiors, paintable surface coverings (acylic latex paint), interchangeable hardware for unlimited configurations and use, and adjustable leveling feet to adapt wall structures to uneven floor conditions and provide added stability and security once assembled. Products meet all International fire codes, standards and produced with formaldehyde free materials. Wall Modules are 40mm thick, fabricated with double honeycomb (nailable) interior to accept nails or screws (44 pounds per nail). High Density honeycomb interior with each outer layer being 3.25mm chipwood with center core (inside layer) consisting of 5mm thick chipwood. 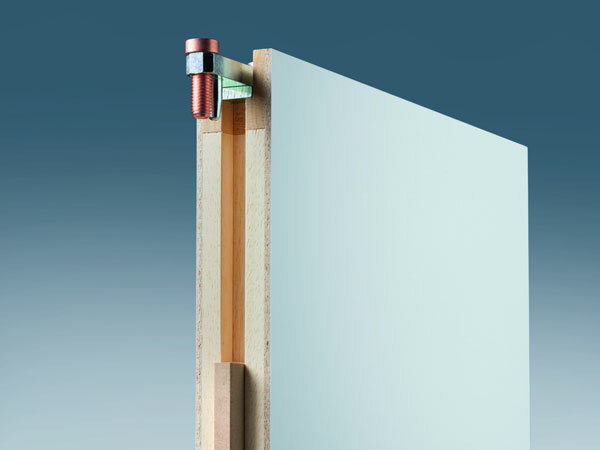 Wall Modules captured by vertical and horizontal wood frames to connect various hardware and corner profiles. Modules include two (2) adjustable leveler feet. Vertical Module edges interlock with tongue and groove assembly technique and securely lock into place using self-locking module fasteners. 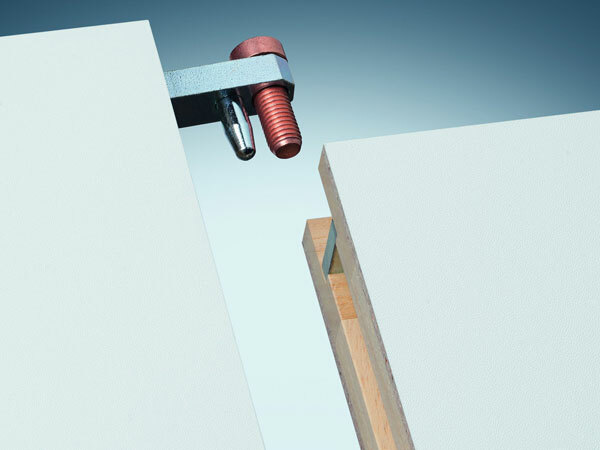 Top panel fasteners include addtional locking bolt. All connection hardware interchangeable and removable allowing unlimited design options. 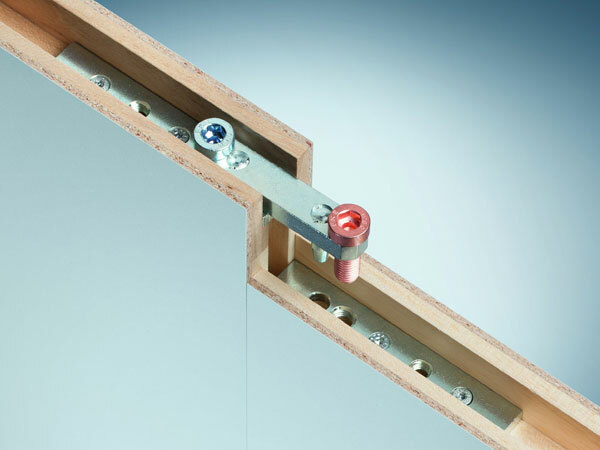 Corner profiles attach to wall modules by inserting Rigid Corner Module Fasteners and securing them with bolts. Profiles available to create 90-degree intersections: (2-way, 3-way, or 4-way), clamp-on profiles, and end cover profiles to finish edges of modules. Corner profiles have a durable powdercoated finish. mila-wall® structures are extremely stable, durable and secure. MBA Products are produced with environmentally friendly and formaldehyde free materials. mila-wall® panels are 40mm (1.58") thick, fabricated with a center core (nailable) interior and will accept nails or screws and support 44 pounds per hanging point. 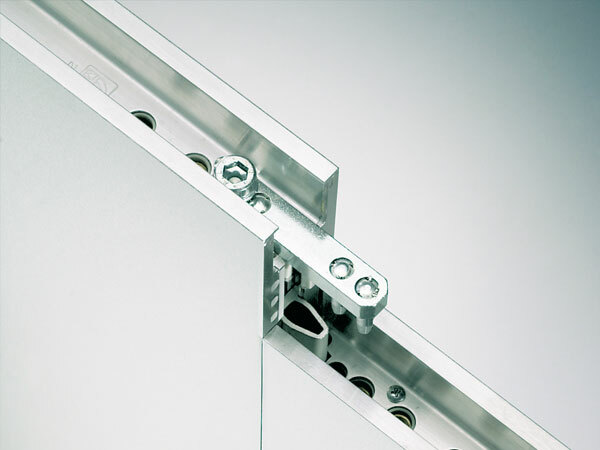 mila-wall® modules interlock and self align into each other and securely lock into place using self-locking module fasteners. 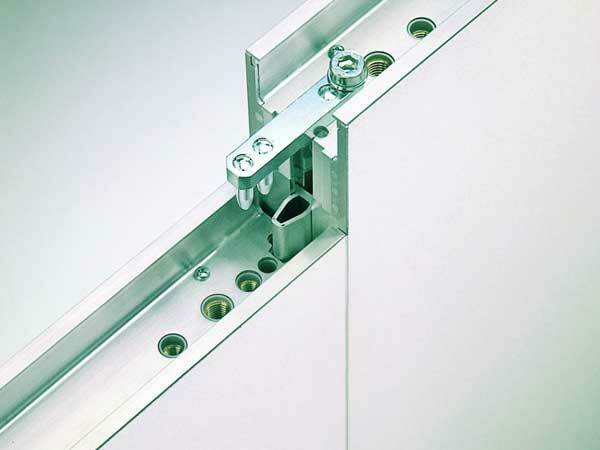 Top panel fasteners include additional locking bolt for additional security. * All connection hardware is interchangeable and removable allowing unlimited design options. mila-wall® panels are manufactured with a permanently applied white milament® base layer. The surface covering is designed to be paintable using acrylic latex paint. MBA Surface Coverings meet a "Class A" Interior Wall Finish rating in accordance with the procedures outlined in ASTM E84-05.